Would you like to be involved? 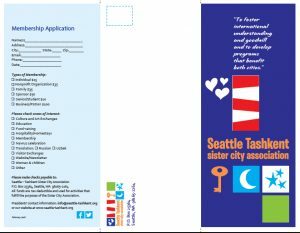 Join the Seattle-Tashkent Sister City Association, and help us promote intercultural and international communication between Americans and Central Asians! 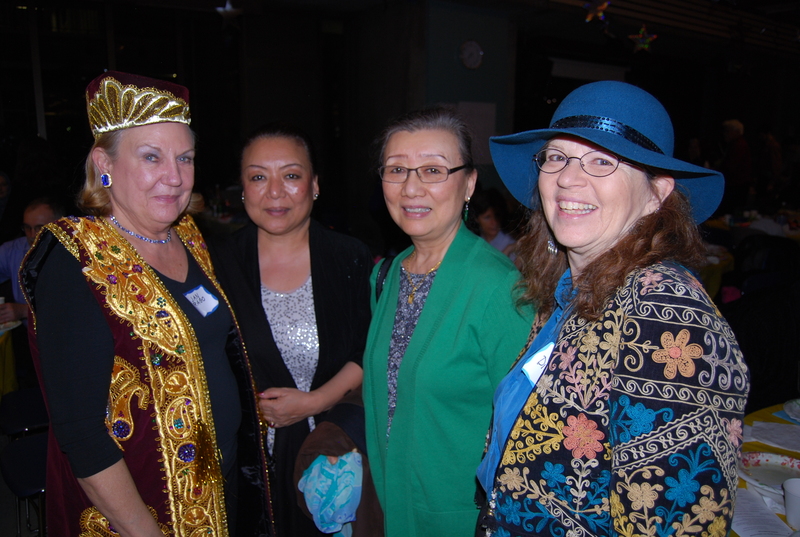 Host visitors from Tashkent and Uzbekistan: We are often hosts to delegations from Tashkent. Sometimes they are city officials, sometimes they are professionals (such as journalists, architects, doctors, or religious leaders), and sometimes they are students (high school, college, or graduate level). You can help out by taking people around, arranging visits and tours, putting on meals, or hosting them in your home. Cultural and Educational Exchanges: Over the years we have had a wide variety of both teacher and student exchanges between schools and universities. We have collected books, especially children’s books, for “American Corners” in Tashkent libraries and have organized book drives at the University of Washington for a university-level library in Tashkent. Groundwork has been laid to develop art exchanges, including ceramics and painting exhibits from Uzbekistan. Other projects may include an exchange of high-school jazz bands and development of professional social work education. 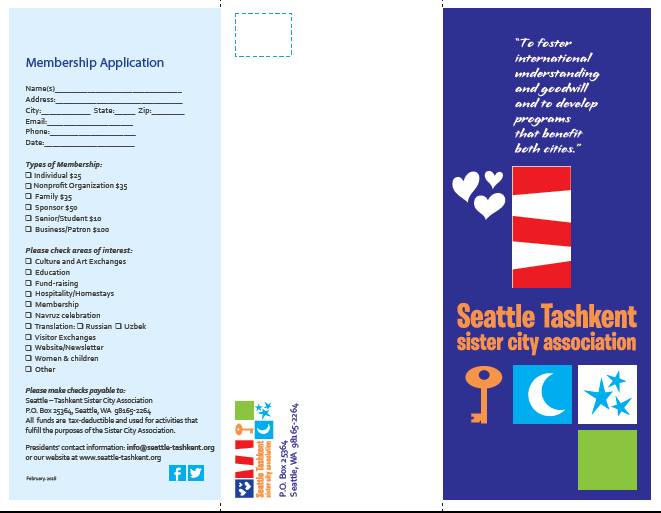 Local and Sister City Program Exchanges: We were a “featured” city at the annual Seattle Sister Cities Reception in April 2005 and also were represented at the National Sister City Conference in Spokane, WA in June 2005. Commercial and Trade Relations: We are connected with the American Uzbek Chamber of Commerce and have hosted a number of businesspeople from Tashkent. We are always open to supporting business exchanges. In the past we have particularly emphasized warehousing and food processing. Health and Welfare: STSCA has completed a project bringing training on domestic violence to the city of Tashkent, particularly health professionals and police officials, and would like to extend that work. A partner organization, Orphan Care for Central Asia, has a long history of working with orphanages in Tashkent.